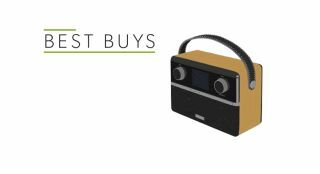 Best Internet radios 2018 What Hi-Fi? | What Hi-Fi? There's no downside to internet radio - and with one of these fine products, you can make a world's-worth of free music sound great. There are tens of thousands of internet radio stations all over the world - from German grindcore to alternative country, from Jamaican dancehall to Pops J and K, Irish pub music to freezing-point chill-out. Whatever takes your fancy is just waiting for you. Sure, you could listen on your smartphone using one of the many internet radio apps. But for superior sound you need a dedicated internet radio. These are our pick of the bunch, with prices at a couple of different price points. Happy listening. The Stream 94i is the complete package, and that makes it the best radio (at its price) out there. Pricey? Yes. But this is really a complete all-in-one system with internet radio built in. Performance is spacious and dynamic, while the design ticks all the boxes.